Let there be no question. This is a Google phone, through and through. Sure, the software giant may have teamed with another company to actually manufacture the product, but everything down to the $769 Pixel XL’s MadeByGoogle URL is a not so subtle reminder of that fact. The company’s latest phones take a step beyond it long-standing and well-loved Nexus line to demonstrate the true power of Android. Because if you want something done right, you’d better do it yourself. And if Apple has taught the company anything (besides the benefits of a well-appointed pair of blue jeans), it’s that nothing beats the harmony of an end-to-end hardware and software solution. Given the short and explosive life of the Galaxy Note 7, the timing is ideal for another handset maker to slide right in to the top Android spot. And while the Pixel handsets are, on the face of them, simple devices in a number of respects devoid of many of the bells and whistles of the competition, they’re a testament to a company committed to delivering its users the best experience currently available on a handset. 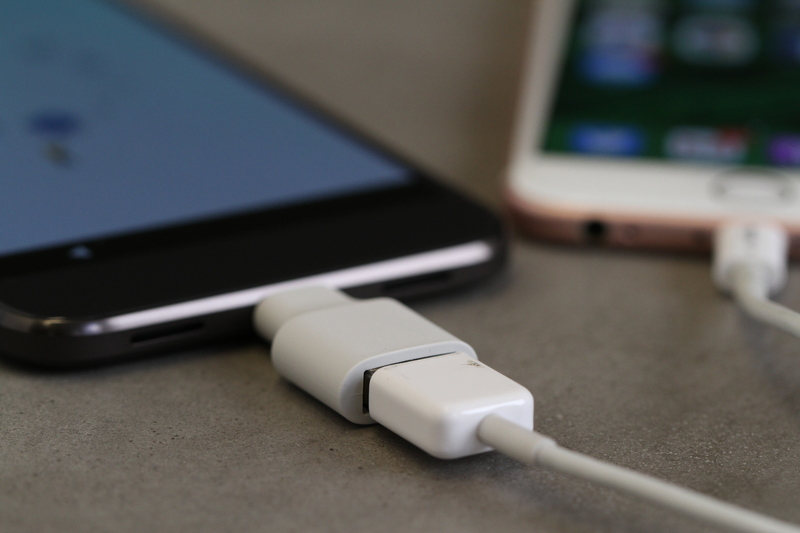 Like the iPhone 7, the Pixel ships with an additional adapter — though Google’s little dongle is far removed from the add-on designed to cushion the blow for a company that might have prematurely pulled the trigger on the death of the 140-year-old technology. The Pixel’s triangular piece of metal and plastic is designed to only be used the once, and then most likely stashed in a desk drawer until the next time you move. Even so, the Quick Switch Adapter may well be the company’s silver bullet. Crack open the box, fire up the Pixel, plug one end into the new phone and connect the other to your old one. The Switch feature works like a charm on both Android (5.0 and up), and iOS (8 and up). Tap through a couple of dialog boxes on both devices (there are a few particulars on different devices) and you’re good to go. The 3GB transfer process took a few minutes for me, all told. Granted, it’s another step in the already somewhat annoying process of setting up a new phone, but it’ll save a lot of time/headaches in the long run. As someone who tests a lot of these things, it’s the sort of tool that could save me a fair amount of time over a long period. For most users, on the other hand, it’s something that will take a bit of the red tape out of an upgrade. And it might even help make the switch from iOS that much easier. The early renders that leaked out prior to Google’s event the other week left most of the internet feeling underwhelmed (but then, that’s just what the internet does). That’s due, in part, to a fairly minimalistic face. There’s not really a lot going on up front in the bezels around the 5.5-inch display. No power button, no curved display — while the edge of the Gorilla Glass 4 does taper a bit, it does so off to the side of the screen. 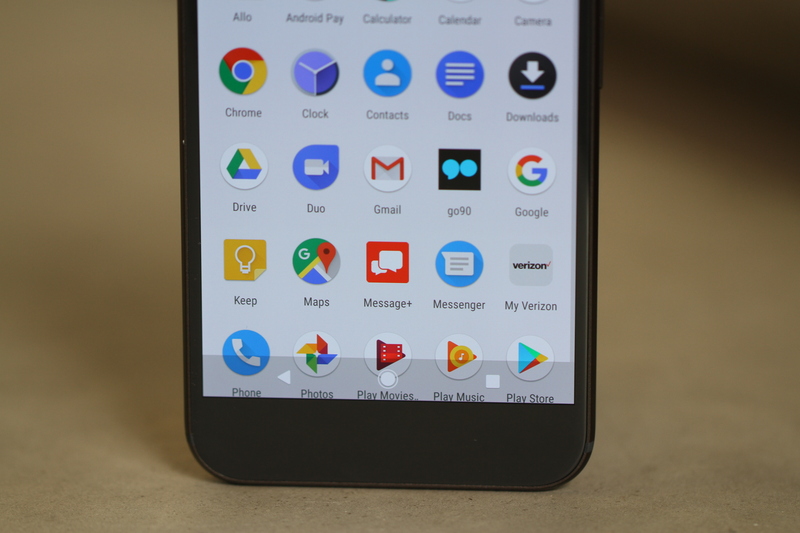 It is, perhaps, a perfect manifestation of Google’s Pixel (nee Nexus) line — a purer form of the Android experience, devoid on the layers of trappings placed about it by third-party companies as an attempt to stand apart from the pack. The sizable bezel below the screen is a bit of a no man’s land, devoid of all function. This absence is, in fact, the primary aesthetic distinction between this handset and an Apple offering — a fact likely due to the manufacturing proclivities of design partner HTC, the arc of which, it seems, will invariably bend toward the iPhone. There’s much more going on upstairs, with an eight-megapixel front-facing camera off to the right and a visible window for the ambient light and proximity sandwiched between the earpiece and screen. 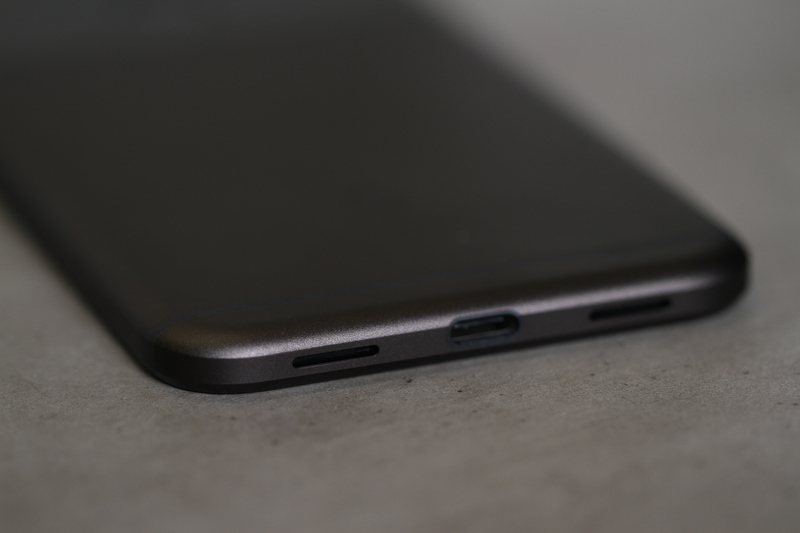 On the bottom, you’ll find the USB C slot flanked by two speaker grilles, and, up top, a small antenna band to the right of the headphone jack — “satisfyingly not new” as the company put it in its less than subtle promo video dig at a certain competitor. The sides themselves are tapered, but not fully round, leaving a slight edge, though one that sits fairly comfortably in the hand. 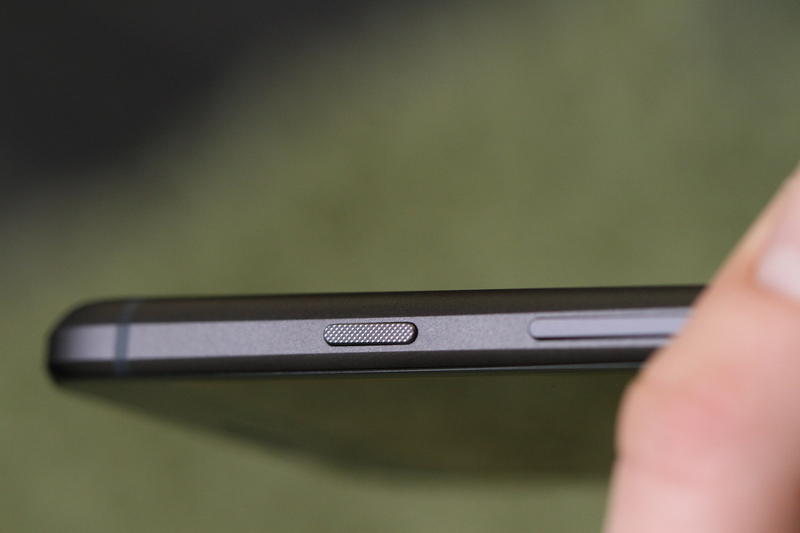 The SIM slot is located on the left and the volume rocker and power button on the right — the latter of which is slightly perforated, so you can tell it apart in a pinch (odds are, though, that you’ll mostly be using the finger reader to unlock the handset most of the time, so you avoid fumbling through the security code with one hand). 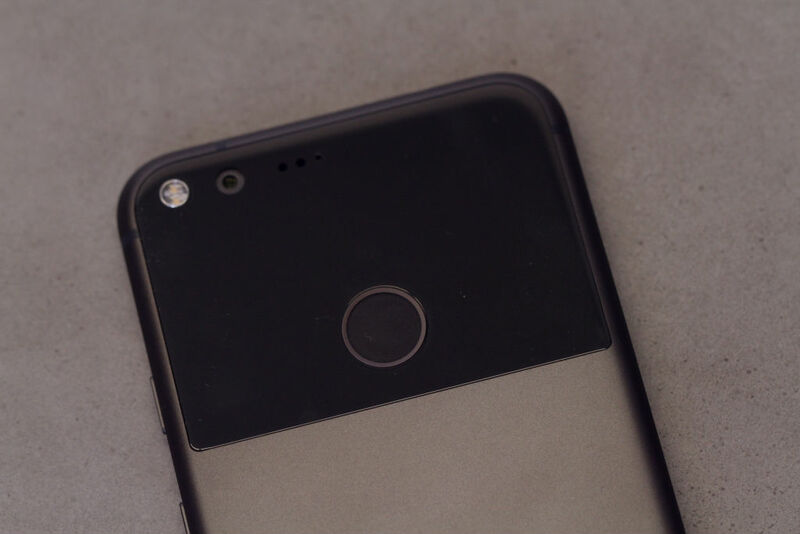 The Pixel’s most striking piece of design is positioned on the rear of the device: a large, dark band of glass occupying the top-third of the back. It’s a combination, it seems, of design differentiation from competing devices, an extended surface area for the antenna in between metal signal sinks and the opportunity to provide some unique tactility, so users can position their hand on the rear of the device by touch alone. Up top is that camera Google’s been talking up so much. You know the one: 12.3-megapixel, DxOMark’s all-time top-rated, etc., etc. And, no lie, the company’s managed to do all of that without a camera bump. The lens is perfectly flush with the back glass panel — if anything, it would likely be a bit recessed, were the glass not a contiguous surface. It’s an impressive bit of hardware architecture, especially taking into account how pronounced the bumps have become on devices like the Moto Z, which is downright top-heavy. 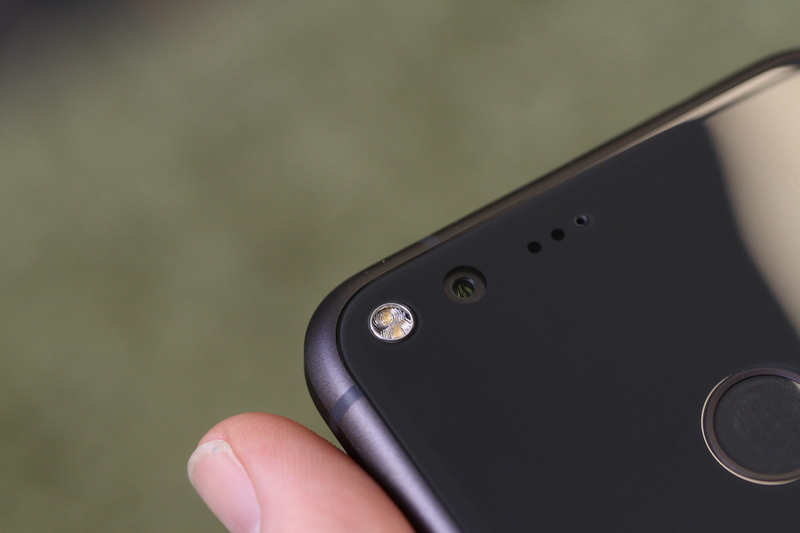 Interestingly, the closest the back of the device gets to a camera bump is the small metal ring around the dual-tone LED flash. It’s barely noticeable, requiring you to run a finger over the surface, but a bump’s a bump, I guess. To the right of all that, eagle-eyed viewers will also spot the laser autofocus module and noise-cancelling microphone for video. 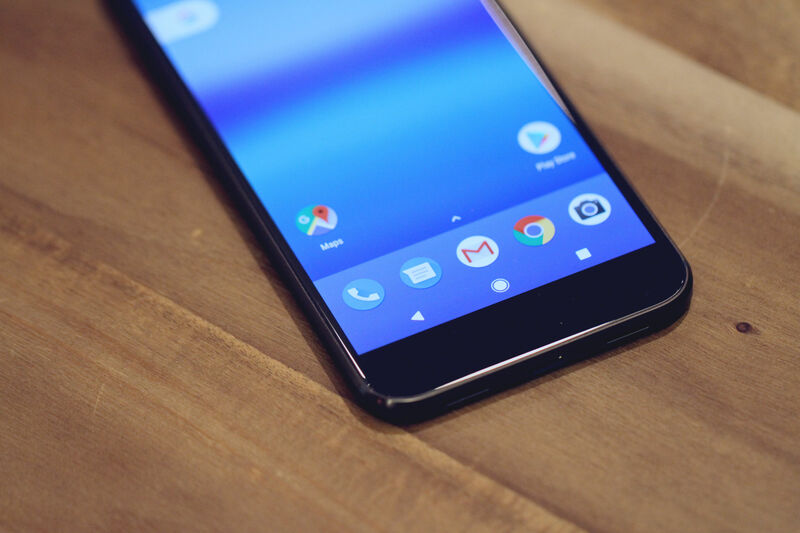 The fingerprint reader is positioned in the middle of the glass expanse, a rear-facing positioning that’s become all the rage with a number of Android manufacturers. Where you prefer to unlock your phone is a matter of personal preference, really, but the rear positioning has a marked advantage on phones over five inches, making it possible to access via index finger without having to fumble around. The Pixel’s reader, incidentally, isn’t the fastest I’ve encountered on a mobile device, but it’s plenty fast enough, with the difference amounting to fractions of a second. At the bottom is the only rear bit of branding on the hardware. 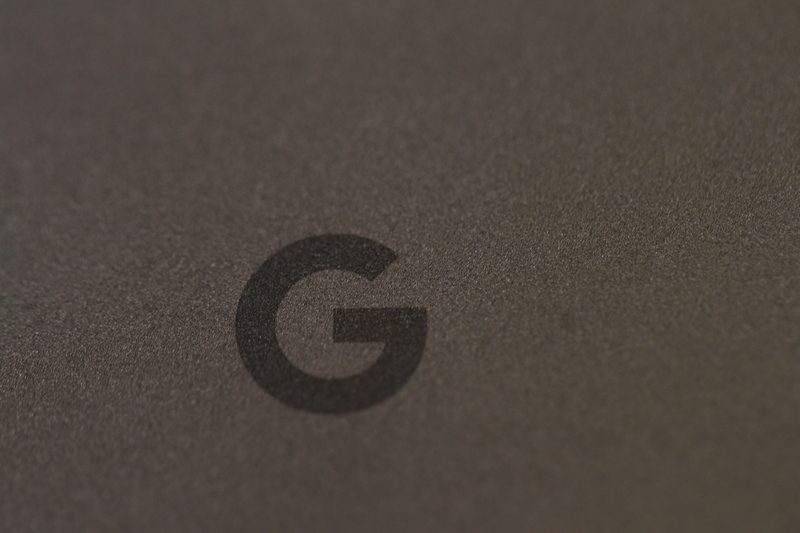 Google’s new simple “G” logo is present in all of its un-serifed glory. It’s a subtle but clear pronouncement that this is a Google phone to its core. The company may have partnered with HTC to help create the hardware, but as far as it’s concerned, the Taiwanese hardware manufacturer might as well be some white label OEM, for all intents and purposes. Nexus be damned, this is the true Google phone. Below that, a thin black antenna band runs across the width of the phone, the only spot where the feature is fully pronounced, largely obscured by the glass face up top. The Pixel’s not a head-turner. It doesn’t have the explosive design language of the Galaxy Note 7 (sorry), and multiple generations of iPhones built around similar design language negate any claims to originality. But there’s nothing wrong with simple. It’s the life-blood of a Google-branded device. Countless already announced accessories will let users leave their mark on the phone as they see fit, but in the meantime, Google (by way of HTC) has crafted a solid and simple device. The glass and metal design give it a heft without weighing it down, coming in at 5.93 ounces to the iPhone 7 Plus’ 6.63. It’s shorter and skinnier than Apple’s 5.5-inch handset (6.09 x 2.98 vs. 6.23 x 3.07). It’s a little thicker, but only marginally so, at 0.33 inches to 0.29, a few fractions of an inch that probably go a ways toward keeping the aforementioned camera bump down. It’s worth noting, of course, that the Pixel is still larger on all sides than the Galaxy Note 7 (6.04 x 2.91 x 0.31), a true marvel of smartphone engineering with a 78.0 percent screen-to-body ratio, but any claims Samsung’s 5.7-inch phone might have made for handset dominance have, sadly, been rendered moot by the occurrences of the last two months. The Pixel’s no marvel from a build standpoint, but it’s plenty well-built. Noticeable bezels aside, the handset’s makers have done a good job keeping the surface-to-screen ratio down. 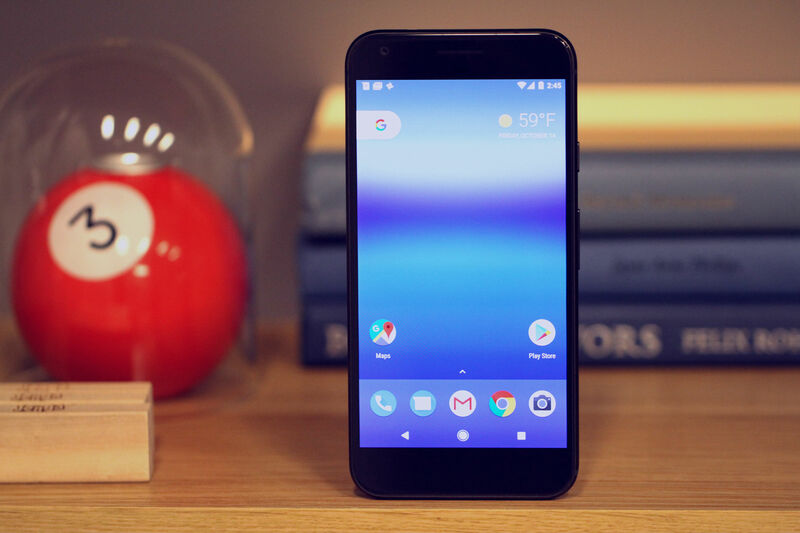 At 5.5-inches, the Pixel never feels like a big phone. It’s easily held in one hand, though you’re definitely going to need both when the time comes to, say, snap a photo. It also slipped in my jean pockets with no effort. Notably absent from the press material is any mention of drop proofing (something accessory makers like LifeProof and OtterBox happily preyed upon in press releases issued shortly after the phone’s release. The solid build likely means that the phone will be able to stand up to the standard bumps and tussles, though I’d highly recommend picking up a case to product your $769+ investment. The handset’s manufacturers also forwent Gorilla Glass 5 in favor of 4. Not a deal breaker, by any stretch, but the new technology has been available for some months now, and it certainly would have been a welcome addition to Google’s big new mobile play, with its promises of 1.6-meter drop protection. Ditto for waterproofing/resistance, which is quickly becoming expected on flagship devices. Some numbers: The Google Pixel XL’s 5.5-inch AMOLED display clocks in at 1440 x 2560. That’s a lot of pixels — 534 per inch. That’s a lot more than the iPhone 7 Plus’ 1080 x 1920 — or 401ppi (it’s the same resolution as the standard Pixel’s five-inch display, which works out to 441ppi). It’s the same resolution as both the Galaxy S7 and Note 7 (RIP), which work out to respective pixel densities of 577 and 518ppi. To repeat, the Pixel XL is a phone with lots of pixels. And they don’t disappoint. It’s a lovely Quad HD display with a wide color range, solid viewing angles and some deep, dark blacks courtesy of the AMOLED technology present here. It’s really a lovely thing to behold. The speakers, on the other hand, are a different story. 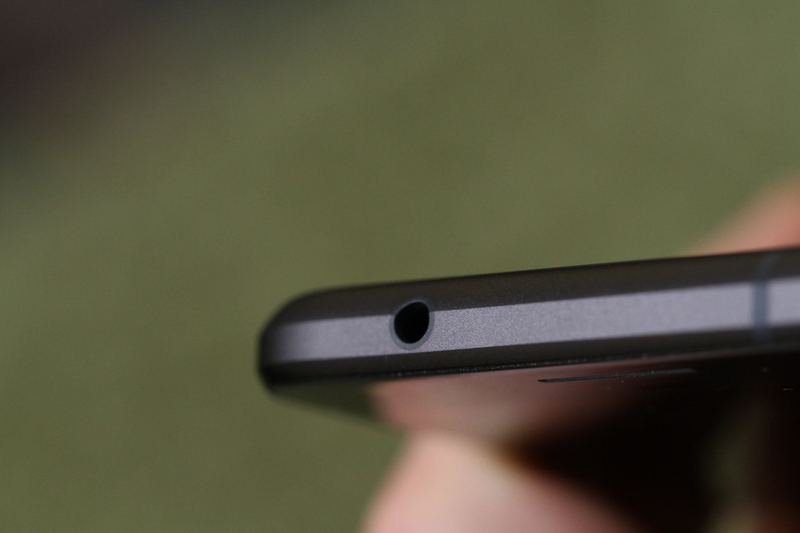 The two small slivers positioned on the bottom of the handset feel like more of an afterthought. Granted, handset audio has always been something of an afterthought, but I was holding out some faint promise of hope that HTC’s influence would have rubbed off here — or maybe Apple’s newfound interest in the feature. But, alas, they just sound kind of muddy — precisely what one would traditionally expect from a smartphone speaker. Which is to say, invest in a nice pair of headphones or a Bluetooth speaker. LG’s V20 seemed like a somewhat unlikely candidate to be the first handset to run Android 7.0. Between dual cameras and a second screen, it’s an interesting device, sure, but it just didn’t look like the ideal candidate to introduce Nougat to the world. But while that handset was still in a holding pattern (it’s looking like it will hit the States later this month), Google went and pulled a fast one. After all, if it was going to reinvent the way it does phones, it really needed something to show for it. And besides, the Pixel line, like the Nexuses that preceded it, is all about creating a unified hardware/software solution. So it’s time to show the world what it can do. 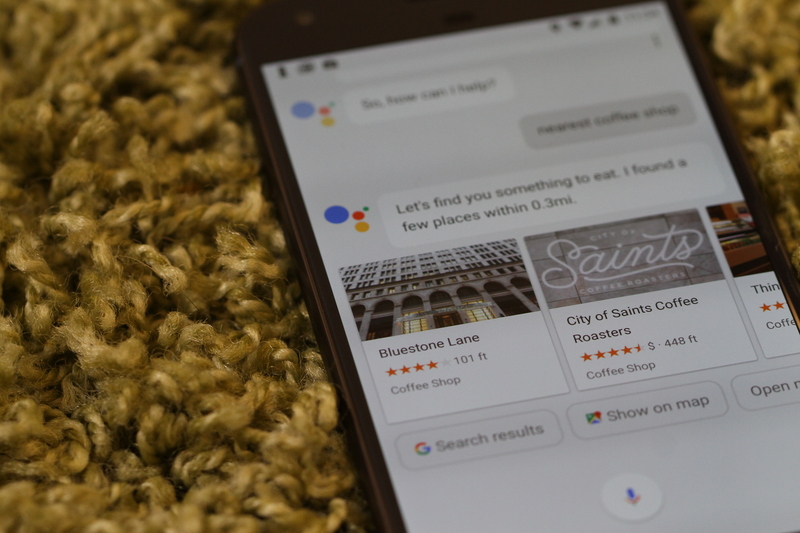 As its name implies, 7.1 isn’t a huge upgrade over its predecessor, but the latest version of Nougat does bring some key changes — most notably, Google Now has officially morphed into Assistant. For now, the evolution is more about refining the personalized AI experience. For one thing, Assistant listens better. A simple “OK Google” uttered clear across my living room perked it right up (the feature can also be accessed by holding down the onscreen home button). And Assistant helps out with a wide range of services with simple commands. “Show me comic stores nearby;” “Wake me up at 6am;” “Who won the Warriors game?” Google’s near ubiquity of software solutions also means that it’s able to access Calendar, Gmail and the like, so it can help with more personalized queries like “what time is my flight?” in much the same way it incorporates that information into search results. It’s simultaneously worrisome how much information Google has access to and exciting to think of all the ways it can tie that info together, moving forward. Assistant will present the results as a card, featuring integrating additional information by way of pertinent Google services like Search and Maps. Handy, but still a ways from being fully automated. 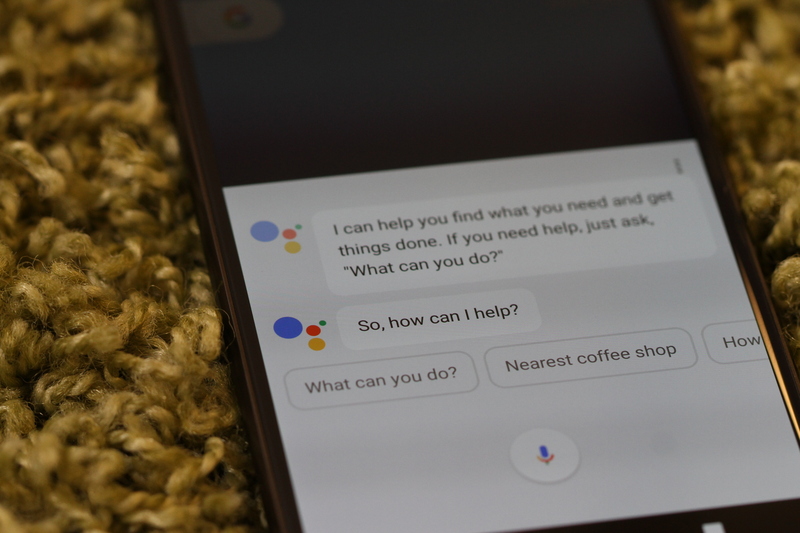 Ditto for the upcoming Home functionality, which has yet to be fully integrated into the feature as of this writing, but, like Assistant itself, is clearly part of a much larger play moving forward for the company. And it’s going to have to be big if the company is going to catch up with and ultimately surpass the head start Amazon has with Echo, Alexa and the lot. All in all, a fair bit less snarky that a number of her counterparts. Even if her sense of humor could still use some fine tuning. There are some additional touches that help round out the Nougat experience. Swiping up from the bottom brings up the grid of apps, while tapping the “G” in the corner gets you to search. The weather is handily located on the desktop, and touching it will bring you to the full day’s forecast. Holding down on certain apps will bring up shortcut options, akin to pressing down on an iOS device. The camera app, for example, pops up options for taking a video or shooting a selfie, the only two things anyone does with a camera anyway, right? Also worth a quick mention is Night Mode, which can be enabled to take effect from sundown to sunrise to limit the amount of blue light you see before bed. Similar functionality is already available on a number of devices (iOS included), but a handy feature nonetheless. Some handy camera features have been baked in, as well. You can, for example, access the camera app by double tapping the power button. Once hit, give the camera a twist and, boom, it switches from rear-facing to a front-facing selfie. Smart Storage, meanwhile, will automatically clear up all of those photos you’ve been taking, uploading them to Google’s cloud service so you can take advantage of that unlimited free storage. And yes, there’s a lot to love on the camera front. 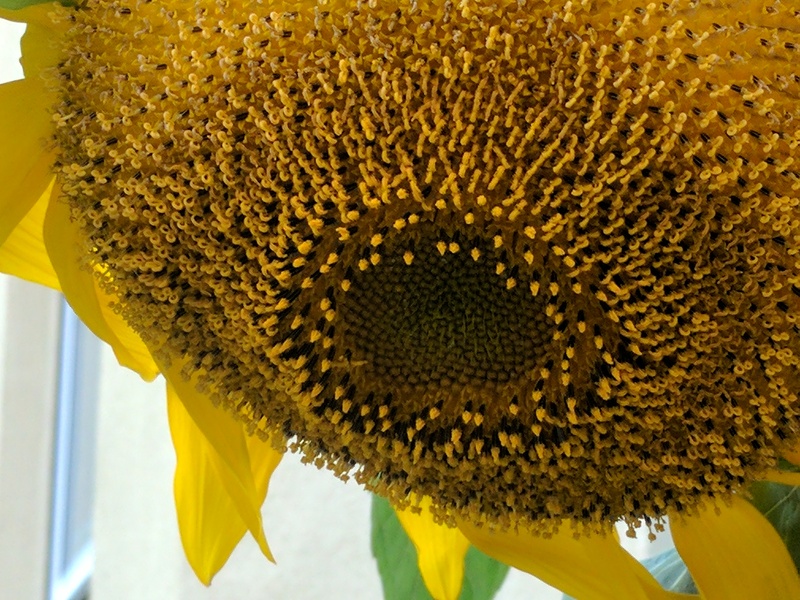 DxOMark gave the Pixel’s camera its highest rating, and it’s easy to see why. Darrell’s got a much more in-depth look at the functionality, but let me just say that I dug the thing. For my own purposes, I kept it in HDR+ mode, as advised by Google (and enabled be default). 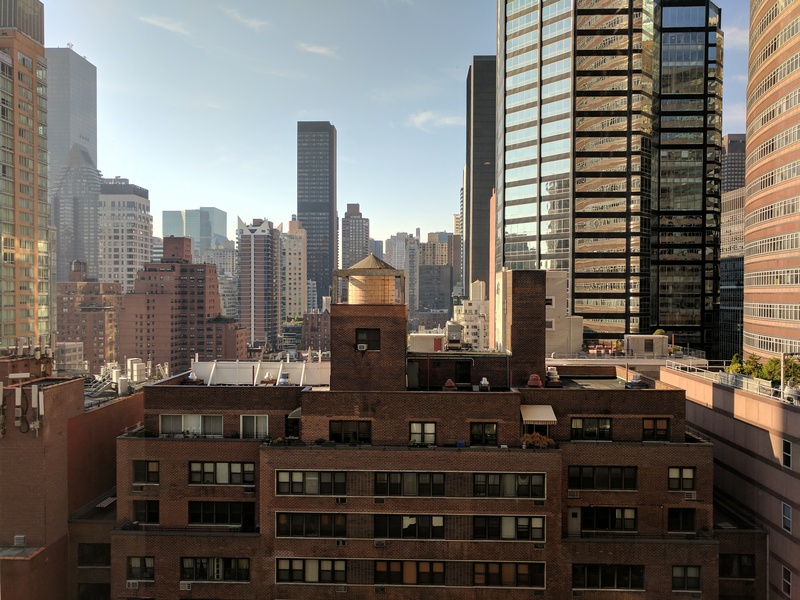 Daylight photos look great, and I was impressed by what the phone could do in darker settings, even with the mixtures of bright lights, as one often finds on the streets of New York. Though there was still visible graininess in lower-light. Processing was also quite speedy, though HDR photos do require a few seconds of processing. That, naturally, takes even longer when utilizing effects like panorama or lens blur, the latter of which actually managed to do a pretty solid job mimicking the depth of field effect of higher-end cameras, only requiring the users to capture a circle and slowly move the camera upward. 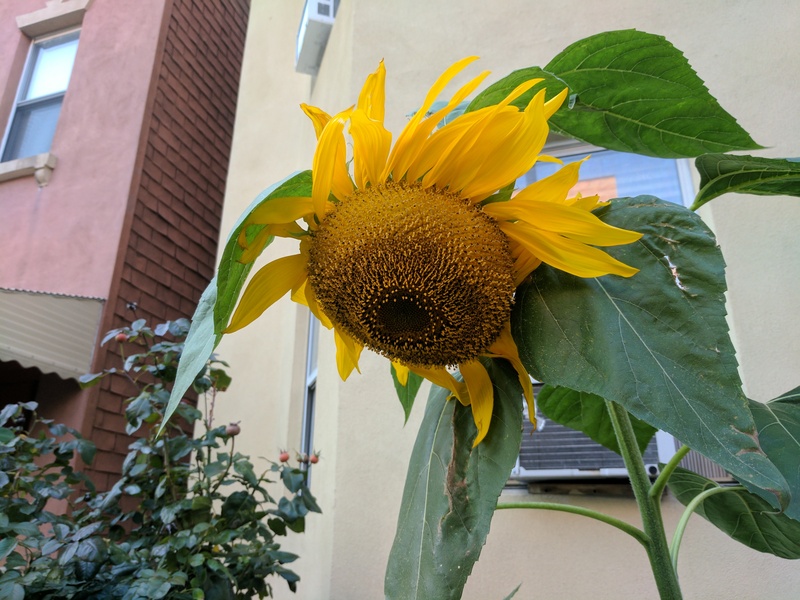 The combination of great camera hardware and a solid and robust software offering make for a really excellent camera experience that’s pretty close to unrivaled on the Android side of the fence. Video is another area where the Pixel claims a significant edge on the competition, owing mostly to its software-based stabilization effect. In fact, the Pixel XL’s ability to capture smooth video, without any obvious distortion around the edges, is really impressive. I recently tried out a DJI Osmo Mobile smartphone gimbal, and the Pixel handheld isn’t that far off. At 3405mAh, the battery is just shy (and Lord willing, less combustible) than the Note 7’s 3500, while significantly outgunning the iPhone 7 Plus’ 2900. And it’ll last. In normal use (email, Spotify, Facebook and the like), I was able to go two full days without needing a recharge. And when that time finally did come (it always does), plugging in the quick charge brick filled it back up 20 percent of the way in a short 15 minutes. I didn’t experience too many overheating issues with the camera, though it did get warm to the touch with some more intensive functionality like shooting a lot of video. Nothing unbearable, though. The combination of the latest quadcore Qualcomm chip (Snapdragon 821) and 4GB of RAM, meanwhile, made for some extremely zippy processing, and the handset handled multitasking with ease. The model Google sent had 32GB of storage built in (29.70 when the OS has been loaded on), which should be sufficient for most, particularly if you’re backing up photos to the cloud, but it goes all the way up to 128GB, if you’re feeling the squeeze. There’s no expandable memory available on either device. Probably not necessary for most users, but it does feel like something of a missed opportunity, in terms of setting the handset apart from its Apple counterparts. When yours is the only name on a handset, you’d better put your best foot forward. Sure, the company got manufacturing help from its friends at HTC, but the message is clear — sink or swim, it’s all on Google. And on just about every count, the company delivers. It’s a well-designed (if aesthetically neutral) handset with robust specs and a killer screen and camera. Most importantly of all, it’s a demonstration, much like Apple’s output, of what happens when the same company is involved in the design of an end-to-end hardware and software solution. It feels natural and works together like a charm — and, unlike a number of competing Android handsets, nothing feels tacked on after the fact. An arguably ironic message for a company that’s been so supportive of third-parties up to this point. 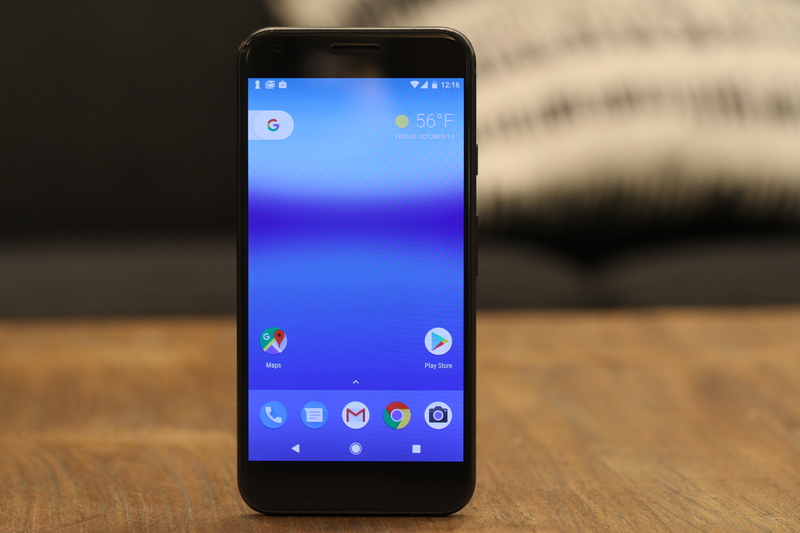 And with the first seeds of pieces like Assistant being sowed, the Pixel XL also feels like a bridge to the future of the company, as Google sets its sights on your home and beyond.